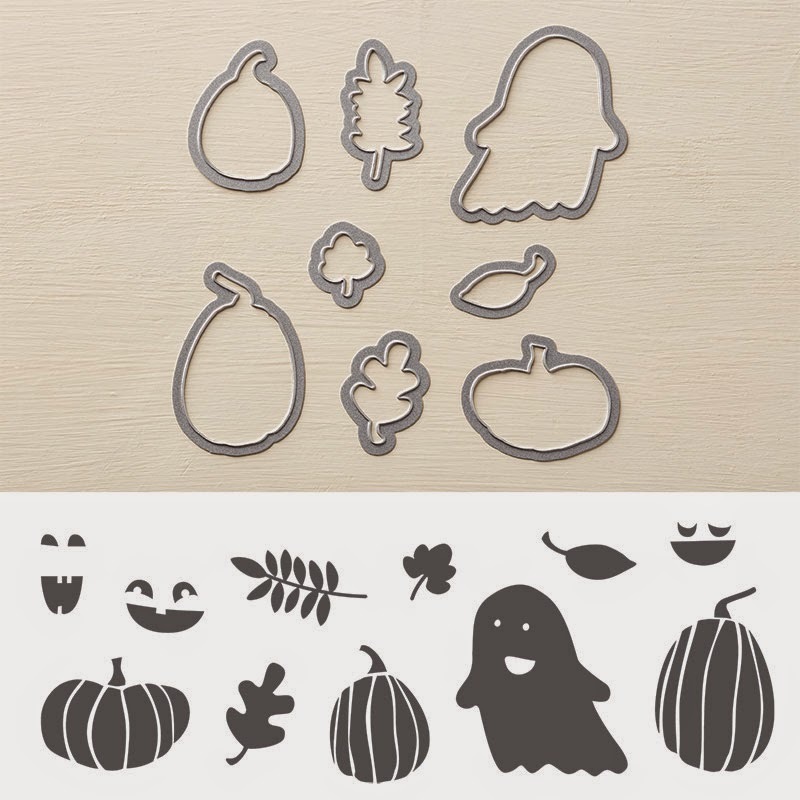 These sweet pumpkins which come from a photopolymer stamp set, Fall Fest, come with their own Thinlits for easy die-cutting. 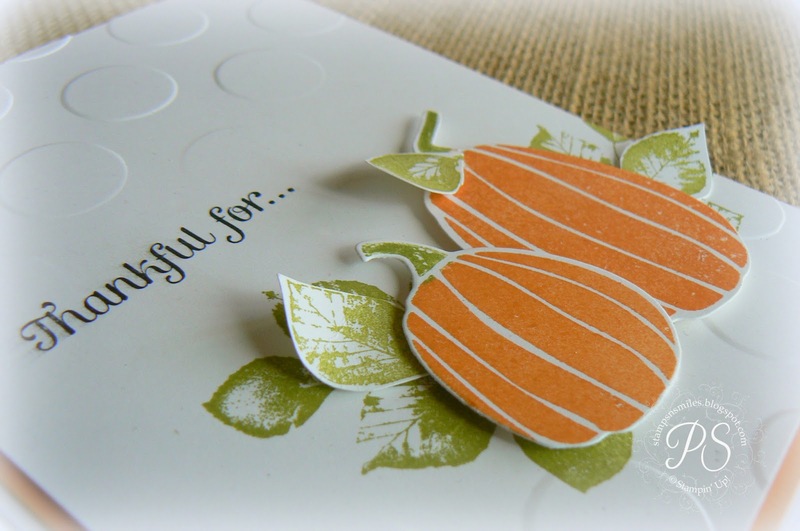 Curled Old Olive leaves from Kinda Eclectic are a perfect accent for an autumn card. Stamp a few for the background and then fussy-cut a couple extra, curl with your Bone Folder and adhere them with a few Glue Dots. 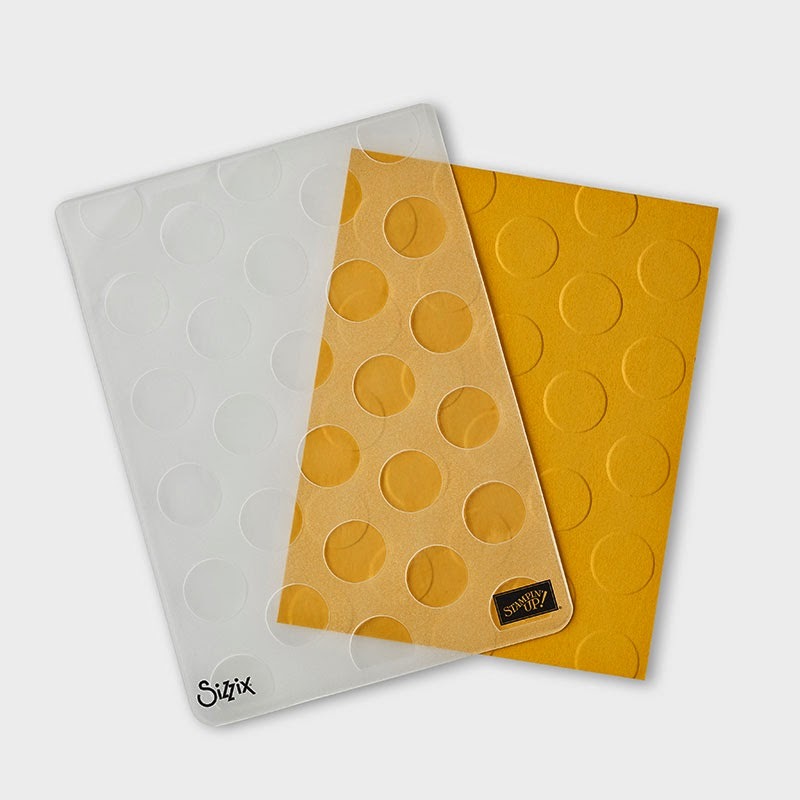 The Large Polka Dot Embossing Folder, embossed only on the upper and lower edges of the card leave a neat blank canvas for stamping your sentiment. How'd she do that? Simply emboss as usual running it through your Big Shot an inch or two from the bottom, turn the embossing folder around and emboss an inch or two from the top. Tada, a perfectly smooth area of cardstock to stamp on! Is it time to go shopping? Online 24/7 right here! 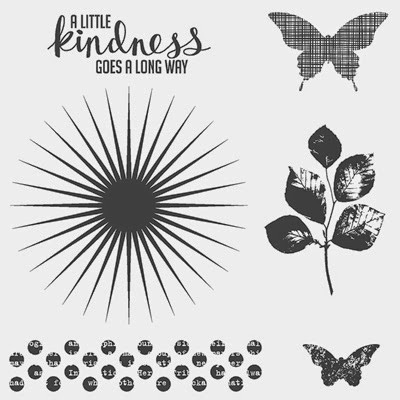 Did you know that your order of $150 or more qualifies for $25 of free Stampin' Up! product? And a gift from me, of course! There are some spectacular savings this week on some of my favorite products!